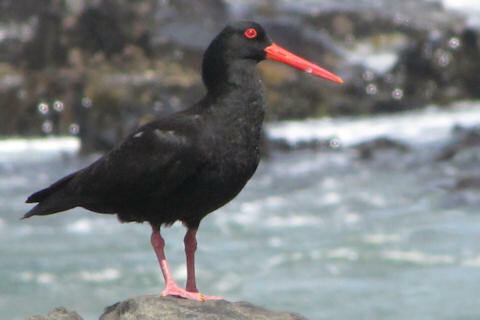 The southern race (fuliginosus) of Sooty Oystercatcher can be distinguished by the red eye-ring. The northern race (ophthalmicus) has a yellow eye-ring. The Pied Oystercatchers on Bruny Island were far more common than Sooty Oystercatchers. We found these at Cloudy Bay.